Located just a short 2 minutes drive off the Hume Highway, midway between Sydney & Melbourne on the banks of the Murrumbidgee River. 6 Acres of park like grounds just a few minutes walk from the town centre. 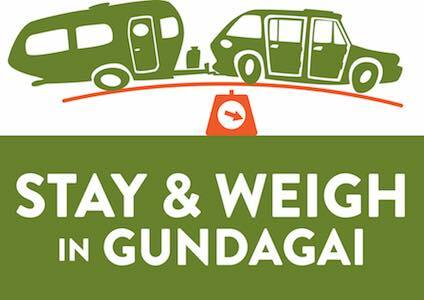 Gundagai is an excellent stopover accommodation point if you are travelling north or south on the Hume Highway or just exploring the NSW Riverina. 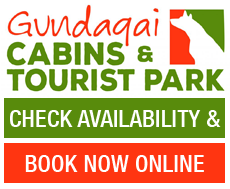 Gundagai Cabins & Tourist Park has 14 fully self contained accommodation cabins, air conditioned each with individual ensuite. There are 40 drive through undercover powered ensuite sites, all with sullage disposal. There are powered and unpowered camp sites also available at Gundagai Cabins and Tourist Park. The Park is just a two minute stroll to the Historical precinct of Gundagai with it cafes, antique shops and art galleries. Woolworths, RSL, Golf and Bowling Clubs are located just across the road. The Council Swimming Pool is right next door. 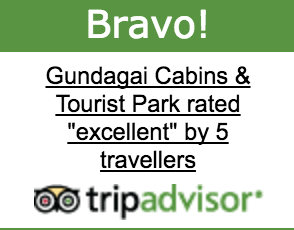 Gundagai Cabins and Tourist Park is the perfect stopover accommodation, or start point for those using the Murrumbidgee canoe/kayak trail. Tumut to Gundagai or Gundagai to Wagga Wagga as it located a short distance from the only boat ramp into the Murrumbidgee River at Gundagai. PETS: are allowed in the Park at the Manager's discretion only. Under NO circumstances are animals allowed in our Cabins unless they are legally recognized service animals. Proof is required. We request that ALL guests with animals take all reasonable steps to ensure the safety of the other guest and staff at the Park. What a surprise- a quiet, brand motel new room at a great price, close to shops and restaurants. Brand new motel rooms in a caravan park right below highway but sound proofed so you didn't hear a thing! Rooms were spacious, comfortable and clean with a nice outlook over the parklands opposite and the walk into town for a meal at night was close by and well-lit. It was a fantastic place to stay . VERY CLEAN, room was large , plenty of room to move. The cabin was close to where we were going. Easy walking distance to safeway & service clubs. Beautiful park area with bbq & kitchen area. Would be a very relaxing & safe place with children. This caravan park has it's own weighbridge! $20 per use. For motorhomes, weigh axles separately and add to get total weight. Suits vehicles up to 8t. Good amenities and friendly staff. Located only a few hundred metres from shops, and next door to the local swimming pool. We had a powered site on grass. Phoned up on the day we needed a room...had a queen cabin available... I said we'd be late... We turned up @9pm on a cold night to find they had turned on the heating for us and put some milk in the fridge. The room was spotlessly clean. Thank you for taking care of us even though we never met. This park really caters to the climate with undercover sites to protect from the frost and cold. Friendly staff, clean amenities within walking distance of the town centre. Lovely scenery surrounding this park, close to golf course and lovely walks. We were travelling through on business and stayed at the motel accommodation (they also had cabins and caravan facilities with en-suites). The proprietors - Dallas & Allison were ever helpful and the room was superb. Definitely our place to stay in Gundagai and even have the TopParks discount. We loved the naturalness of this park. We had an undercover site and had all the assistance we could possibly ask for. No junky play areas here. Quiet and clean surrounds. Close to town but not noisey. Felt safe here. Spacious and not crowded in sardine tin style. We would love to return and stay for much longer. 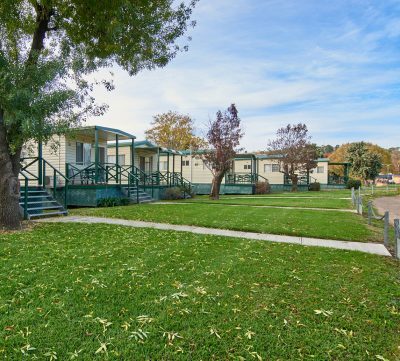 The Gundagai Tourist Suites are brand new. They have reverse cycle heating so it was nice and warm on a very chilly night. The bed was so comfortable and also had an electric blanket. 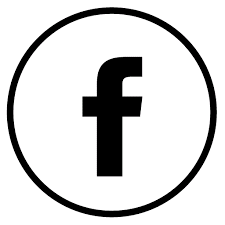 The staff were extremely friendly and so helpful. They give you a little bottle of milk on arrival as the suites have a coffee machine. Was super impressed! We have stayed at this park a number of times previously in our motorhome. However this time we were looking for motel accommodation. A number of sites have now been converted to motel rooms. The result is spacious, well fitted out brand new rooms with a very comfortable queen size bed. The park is very conveniently located opposite the golf and bowling club and adjacent to the local swimming pool and only a short walk into the town. 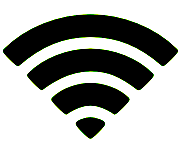 It has powered and unpowered sites, drive through undercover en suite sites for motorhomes and caravans as well as cabins. The park basically caters for all travellers and I would thoroughly recommend it as a half way stop for travellers from Sydney or Melbourne. Excellent accommodation, very clean and well set up! Cabin was very clean and well set out. Great hot shower with plenty of pressure and a working hairdryer. The cabin was very well set up with cupboards full of crockery. Parking was very easy just out the front of the cabin. Excellent setup!